Need a lift from / to the airport? Or to move around the city? 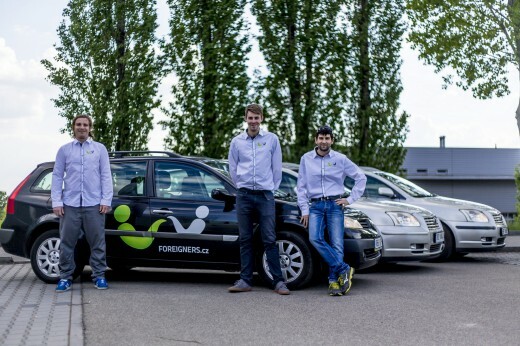 Foreigners.cz offers you a special “airport taxi” service for really competitive prices! Our driver will pick you up at an airport (or at your home) and bring you directly to your final destination (or an airport). All our drivers speak English so there is no problem with communication. Reliable taxi service performed by friendly English-speaking drivers. We are also proud to introduce our passengers to modern Foreigners.cz car fleet, which was designed to transport individuals as well as groups of travelers together with their luggage. All you need to do to acquire the best transport service, is to fill in a form online and wait for the confirmation of your order. Safe travels! In case of no-show or cancellation later than 24 hours before a planned pick-up the cancellation fee in the amount of 50% of the ordered service applies. Airport transport from Katowice airport to Olomouc for three people with three large luggages. Please send me a code.